This article is 568 days old. 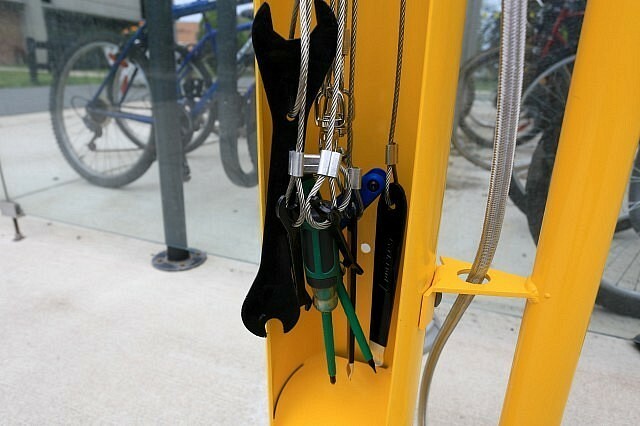 Six City of Windsor parks have had bike repair, or fixit stations installed for cyclists in need. Jackson Park, Optimist Memorial Park, Great Western Park and the Riverfront near Caron Avenue are receiving units this week, while Willistead Park and Mitchell Park will have installations at a later date. The bike repair stations will have a pump, a stand and an assortment of tools to be used free of charge whenever the parks are open. Funding for the stations is being provided by CUPE Local 82 and ward funds from Councillor Rino Bortolin and Chris Holt.